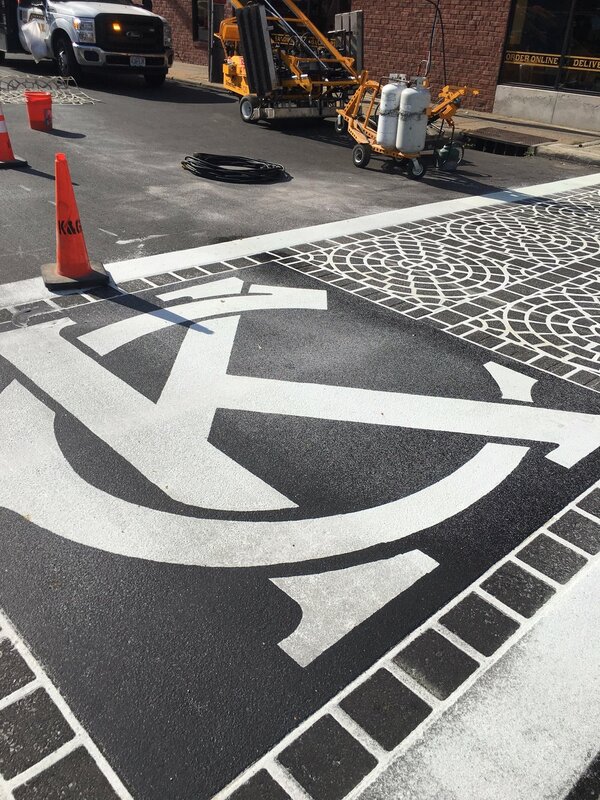 K & G Striping, Inc. is a certified installer of the TrafficScapes™ product line, offering a variety of durable, safe, and aesthetically pleasing pre-formed thermoplastic pedestrian crosswalks. These pavement marking solutions are durable, easy to see and sure to complement any new streetscape project. They provide a decorative presentation of walkways and entrances to compliment the design and feel of development plans. TrafficScapes™ will reduce long term maintenance costs associated with the use of traditional concrete brick paver applications. Please contact us online for quote requests and other inquiries, or call us at 816-741-3339.